I happen to be Jewish, but as far as holiday movies go, How the Grinch Stole Christmas is actually one of my favorites. 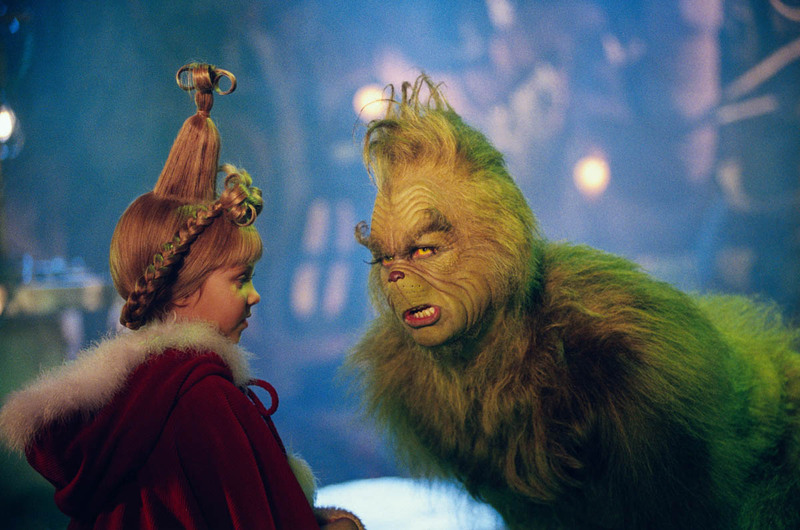 I love the parts with the baby Grinch, and I can't look at Cindy Lou Who without wondering how she grew up to be Jenny Humphrey. There are also a number of iconic quotes in this film, which make it the perfect choice for spreading holiday cheer. So to get into the festive spirit, I messaged dozens of my Tinder matches with quotes from the Grinch. Many of the guys didn't respond (I don't really blame them), and a few unmatched me after a couple of messages because they thought I was "fake" or a bot. Surprisingly, though, a few people immediately recognized the more obscure lines from the movie (either that or they Googled them), and responded with equally Grinch-y messages. I compiled the five best conversations that came out of this experiment, and added my own commentary for your reading pleasure. See, I'm a serious journalist, mom! All jokes aside, I'm amazed I got anyone to play along at all. Honestly, if I got some of these opening messages, I probably just wouldn't answer, or I'd simply send a question mark. My matches must have been in the holiday spirit of giving. Ho ho ho... or something. I almost feel bad, because Arjun seemed super sympathetic to my frankly depressing messages. I thought he caught on at first when he said, "You're a mean one" (a quote from the movie) but that must have just been a weird coincidence. I've got to hand it to him though — he stuck with the conversation even when things got dark. Arjun definitely made Santa's nice list this year. OK, I'm pretty sure Joshua asked Siri about this one, but whatever. Also, he clearly wasn't amused by my second message, because he didn't respond again. Not that I'm bitter. Daniel was fairly amusing, at least as far as pop culture-themed innuendo goes. The Yoda line felt a little forced, but maybe I was just stuck in Grinch mode. All things considered, he was probably my favorite guy to talk to out of these five. I'll be honest. By this point, I was a little sick of sending the same few lines over and over again, so I decided to go a tad off-book. My first message wasn't technically a line from the movie, but I think it got the point across. And Patrick was definitely in a festive mood. Joe was a pretty good sport, but I do feel like he gave up too soon. I mean, we could have exchanged Grinch lines all day! Either way, I think Dr. Seuss would be proud.